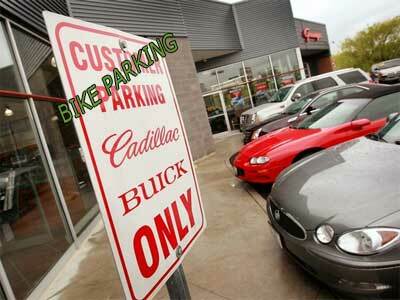 Could Bike Shops fill those vacant GM dealerships? Fitness centers even with massive spin classes? When the spending comes back will it arrive in the bike shop for a commuter bike? I don’t know, but maybe a new urbanism focused on bikes will result from these economic times.